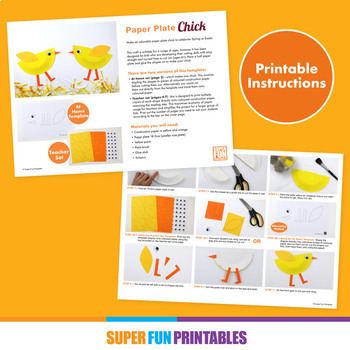 Make a simple paper plate chick using a half paper plate (8.5cm or 7" size) plus our printable template. 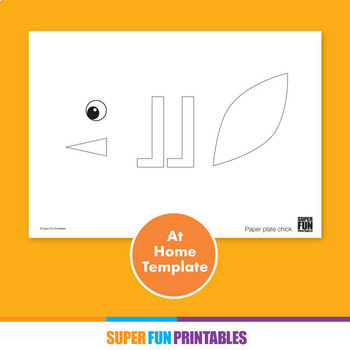 This craft has been designed for kids to help develop their scissor skills with simple curved and straight lines to cut. 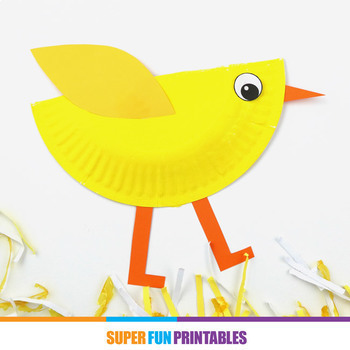 Glue the finished cut out shapes onto your painted half paper plate to make a cute baby chick. This would be good for Spring, Farm Animals or Easter themed crafting and would also make a lovely wall display. 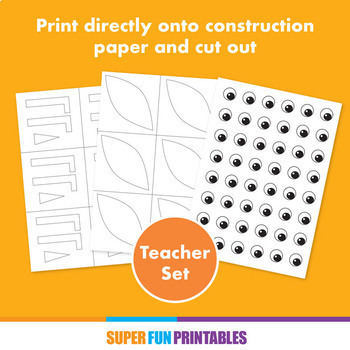 • The file is supplied in both A4 size with English spelling and US Letter size with American spelling. You will receive both clearly labelled versions of the file in a zipped folder when you purchase the product. Simply double click on the file to unzip it and then open the PDF file you need.